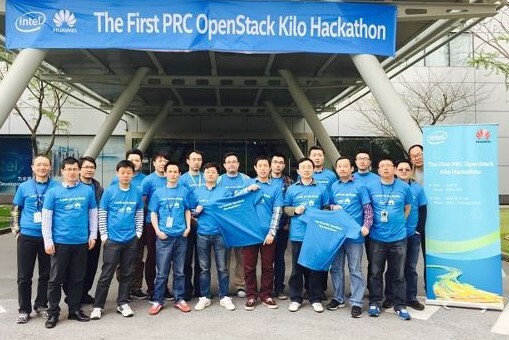 First team to participate in a hackathon series aimed to educate and engage developers in China in working upstream in the OpenStack community. 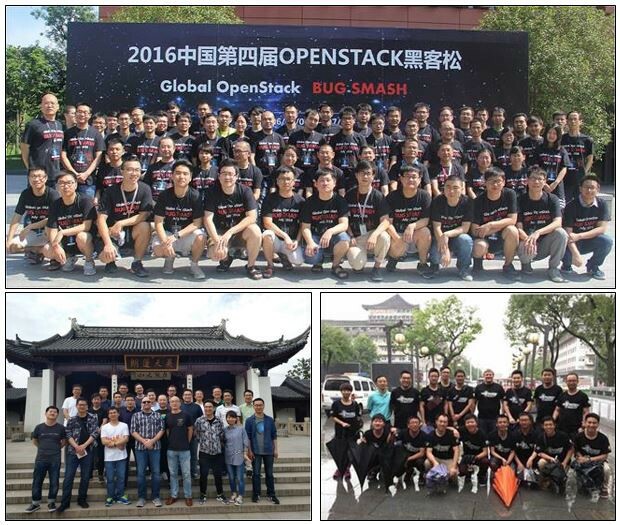 Since then, open source — and OpenStack — development has grown significantly in China, and the series is evolving to address open infrastructure. Two of the last five SuperUser Awards recognized companies in China, including China Mobile in 2016. Two of the last five SuperUser award winners, China Mobile (2016) and Tencent (2017), along with 2017 award finalists China Railway and China UnionPay, hail from the region. The most recent OpenStack Foundation User Report reflected a significant surge in survey respondents from Asia for the second year running, up to nearly 50% in 2018, and the Foundation reports four of five private cloud vendors there are based on OpenStack. Moreover, this year marks the first summit hosted in China. This growth may be due in part to hands-on, interactive opportunities in China to learn more about how to participate in open source development. One noteworthy opportunity includes the long-running hackathon series hosted by Huawei, Tencent, Intel and others. Developers in China united last week for the ninth event in this series (April 18–20). 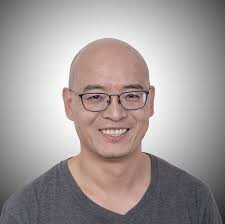 We sat down with Fred Li, Principal Engineer at Huawei Technologies; Ruan He, Ph.D., Chief Architect of TStack Cloud and OpenStack Board Director at Tencent; and Jianfeng “JF” Ding, Software Engineering Manager at Intel, to talk about the origin of this series, how it has evolved, as well as insights gained along the way. Check out what they had to say, and swing by the Intel booth at the Open Infrastructure Summit in Denver, April 29-May 1, to meet JF Ding and learn more about this hackathon series in China! What were the initial objectives of the hackathons? We saw a big gap between developers in China and developers in open source communities. Developers in China work very hard and they know technologies like OpenStack very well, but the majority of them didn’t know how open source worked, or how to contribute code upstream to core developers and maintainers. Seeing an opportunity to educate developers on how to get involved, Intel’s Maggie Liang, along with a team of community advocates from other Chinese companies organized the first hackathons. This was one of the main reasons we organized the hackathons — to educate them about how to get involved and participate in the open source community, how to work upstream. Can you talk about what you’ve been able to achieve through these hackathons? We hosted the first hackathon in April 2015, with 20 developers smashing 30 bugs. By the time the next event was held later that summer, the number of developers had doubled and they smashed almost four times as many bugs as the first event. The hackathon series has evolved over time; developers across 12 cities in nine countries participated in the third event. Following on the success of the first two, the organizing committee turned the third hackathon into a global event in March 2016 — across 12 cities in nine countries — raising the cumulative totals to 364 developers smashing 527 bugs. Those cumulative totals reached nearly 700 bugs smashed by 542 participants who participated in the fourth hackathon in July 2016. We continue to host hackathons twice a year, although the focus of them has shifted. By the time of the fourth hackathon, participants set their sights on introducing new features and integrating new projects, in addition to smashing bugs. Tell us more about how this focus has shifted. At the beginning, OpenStack wasn’t as mature — it was easier to find bugs, and we made finding and fixing bugs the focus of the hackathons. As OpenStack has become more and more mature, we have found fewer and fewer bugs. At the time of the fourth hackathon, we started to think about incorporating new projects, like the bare metal compute project, and we moved from smashing bugs to working on new features and integrating new projects. Today, the open source world is evolving. 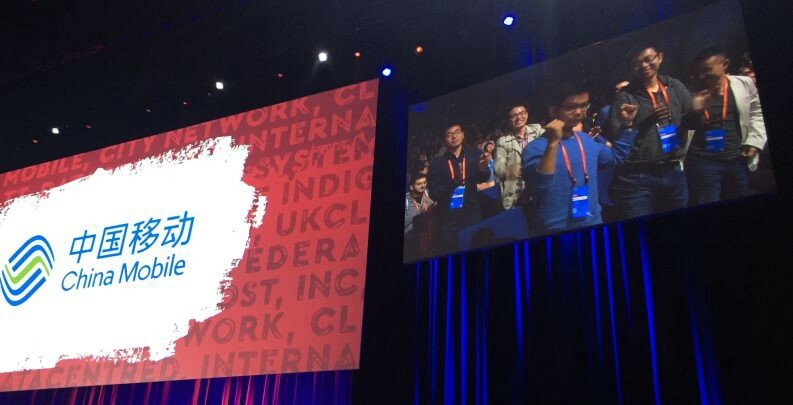 OpenStack is expanding to support open infrastructure and emerging use cases, like artificial intelligence and machine learning, are driving the need for us to collaborate across many different projects and communities. Similarly, a focus on customer needs requires a focus on the full stack for use cases like machine learning. This hackathon series has succeeded in uniting developers across China — and the globe — in collaborating upstream to smash bugs, introduce new features, and integrate new projects and communities. This is especially important as we address new use cases, like artificial intelligence and machine learning, among others. This evolution has shifted the focus of the hackathons as well — to integrate additional projects and communities, and work on new features. The hackathon series is evolving to bring together developers across communities to spur innovation and address new use cases — complete with a new name and design motif. To signify this shift, we changed the name of these events from OpenStack Hackathons to Open Source Hackathons. During the last hackathon, the Kubernetes and Ceph communities joined us. You’ve achieved such great results. Can you share some of your insights with us? I think we were able to achieve such great results due to the way we structured the hackathons. During each hackathon, two core reviewers from each project joined us. By virtue of having them in the room at the hackathon, work is merged right then and there. As a result, work happens very quickly and efficiently. Tell us about some of the challenges you encountered along the way. The biggest challenge was to align more than ten different global companies around the hackathons. This started with persuading them to invest in these events by convincing them of the hackathon’s value, which was difficult because the value in open source is less direct, or tangible. The culture in China is changing, and open source has become more influential in the industry. Marketing influence, technical training and the ability to find more talent and expertise were all benefits. Intel, Huawei, Tencent, China Mobile, and FiberHome were early proponents. What achievements have you been proudest of? The initial purpose of the hackathons was to educate developers in China about how to participate in the open source community and work upstream — and you can see the results. There have been some really inspirational milestones along the way. By the third hackathon, one of the developers had become a Nova core reviewer, which shows that it’s possible for Chinese developers to become core reviewers in even the most important and critical projects. For the fourth hackathon, we created a Newbie award to reward new contributors for their work. There were a few participants who finished their first commits — some of these commits were even merged on-site — and they received this award. Since then, we’ve created a new project from these hackathons — it’s not an official project, but is being used — which is a testament to the great work being done. I’m excited about how these hackathons have evolved, and where they’re headed. Take the example of edge computing. Some people are knowledgeable about devices and interfaces to extract data from the cloud, but lack expertise about cloud or edge cloud. Likewise, other people understand cloud or edge cloud, but lack device knowledge. If we invite them to sit together, to learn from each other as a trial, or pilot, maybe we can help bridge this knowledge and solve some of the issues through an exchange of ideas. ‘I know device. You know cloud. But we don’t know each other so much. How about we sit together and share what we know.’ We can help create spaces and opportunities to connect different communities — the OpenStack, Kata Containers, StarlingX, Kubernetes and Ceph communities, among others — and for folks from these different communities, and different companies, to get to know each other, learn from each other and collaborate on open source projects. At the Berlin summit, we heard a lot about Kubernetes, and I think OpenStack running with Kubernetes and Ironic for full cloud stacks is exciting. In the future, we also plan to invite students and educators from colleges and universities who are doing research and can contribute new ideas. By bringing us all together, we can share our knowledge exchange ideas, and solve real-world issues. Before we close, is there anything else you’d like to share? Over the last four years, Intel has played a very important role in the open source community in China. 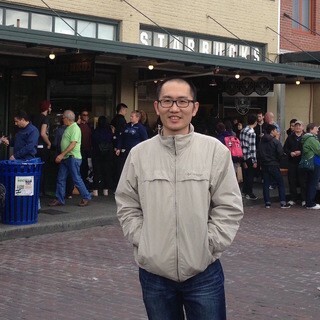 At the beginning, many Chinese companies didn’t understand how open source works. As teacher and mentor, Intel helped us at Tencent to understand how open source works, how to integrate into the community, how to become a gold member, and how to apply for the SuperUser award in OpenStack. We really appreciate Intel’s help. 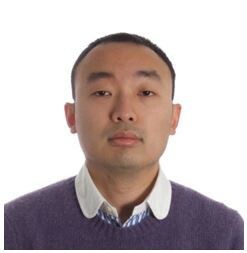 Swing by the Intel booth at the Open Infrastructure Summit in Denver, April 29-May 1, to meet JF Ding, and learn more about this hackathon series in China! Check out this video to glean more insights from this hackathon series!